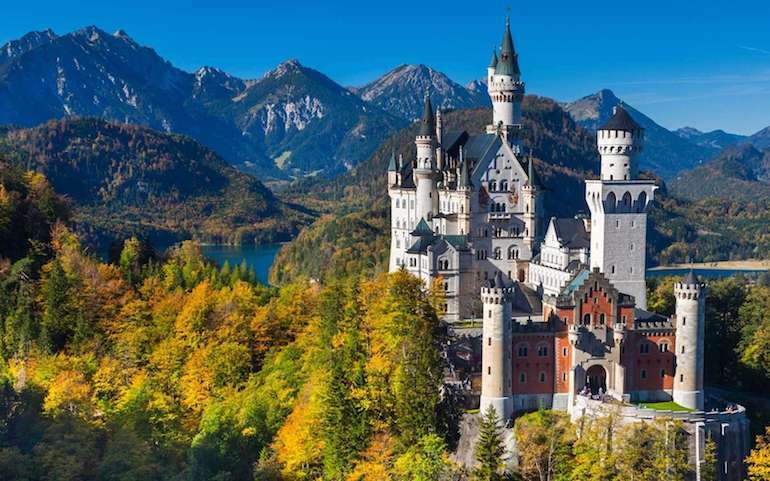 During high school, my German language class had this big poster that showed a castle in Bavaria. It was marvellous and looked like something that came from a fantasy novel rather than a real building. I used to watch it and dream about going there by myself. Being relatively poor, as well as, well not very keen on travelling (at that point) it took me many, many years too see it. 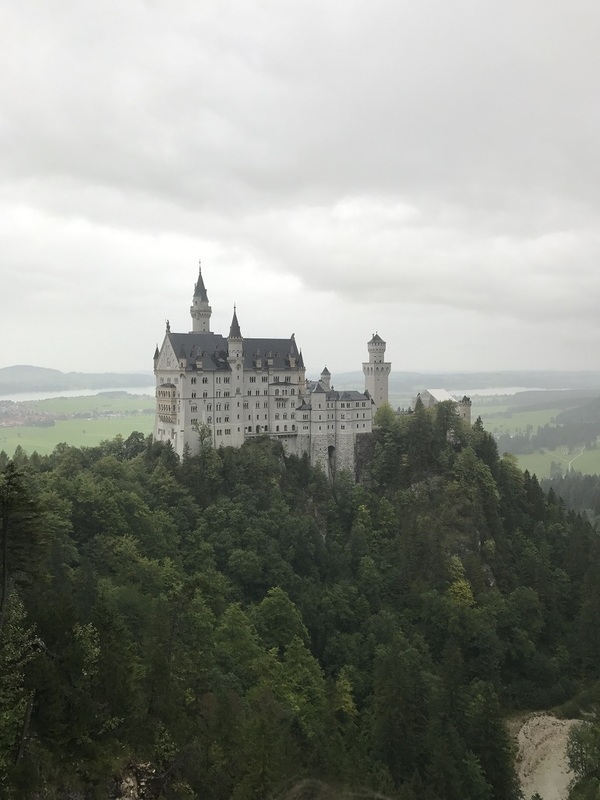 This place was Neuschwanstein Castle and this weekend I had a chance to see it for myself. We went there on Friday, and from the airport went straight to the “hotel”. Early in the morning we got back to the airport to pick-up our car. The trip to Hohenschwangau took around an hour and a half. We were around 15 min late and our tour was delayed by around 3 hours. This was the best thing ever. If we hadn’t been late, we would most likely not have seen the surroundings of the town as straight after the tour we had a plan to go other places. The best thing was the lake, next to the town. The water is crystal clear. Moreover, the view around, including the slowly coming mist was spectacular. The town itself is small, with some restaurants and a lot of gift shops. 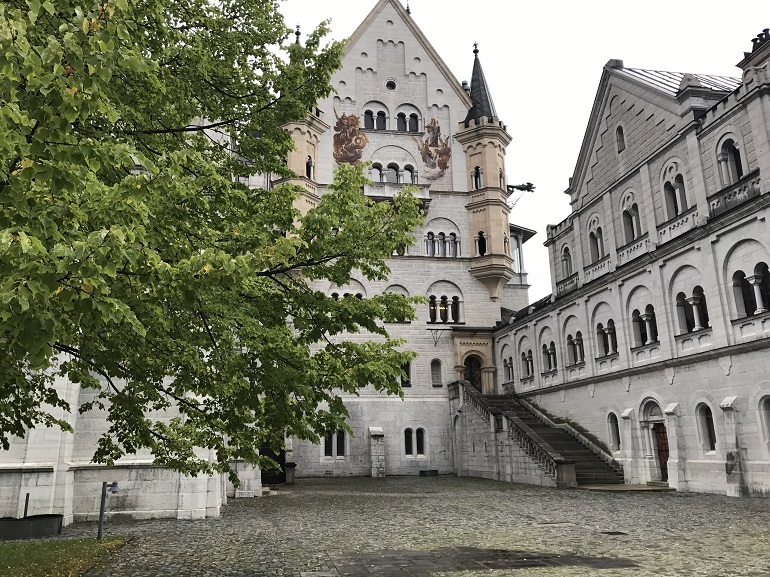 The old castle is worth to see too, but compared to Neuschwanstein it looks bland. I highly recommend trying the local food – I especially liked the classical wurst as well as their mushroom dishes. For dessert, we had the Bavarian cream, which was a pleasant surprise. Other cool thing – there is a road that you can take to get back to the town. It is a bit more spectacular than the one you take uphill but I think it is much more difficult to walk up. 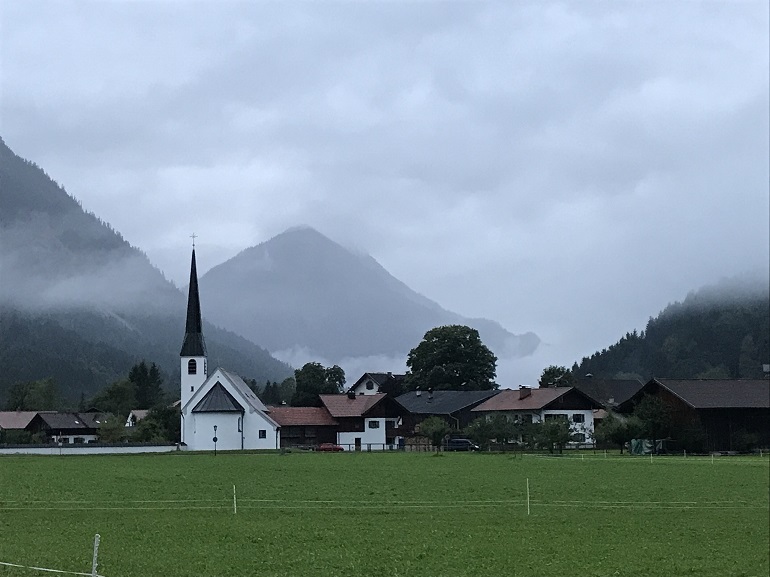 After hanging around a bit by the lake (again), we took our car and drove through Bavaria for the next part of the day. There were some great cities and views, but honestly the castle was absolutely the best. To sum up, we were surprised how much stuff you can see and do in the area around the castle. The whole thing, lived up to and even went above my expectations. Whole Bavaria seems a very nice place to live – not many billboards, decent prices and convenient infrastructure. Plus the mountains, green grass and beautiful sights. I made the decision to travel there, as the plane tickets we bought were ridiculously cheap – around 20 EUR for a 2-hour flight, both ways for a one person. Food and snacks costed around 100 EUR. The trip costed me and my Girlfriend around 350 EUR in total. The date we had chosen, meant that there will be good odds for a nice weather and hopefully smaller crowd (on average, each day, the castle is visited by around 6000 people).